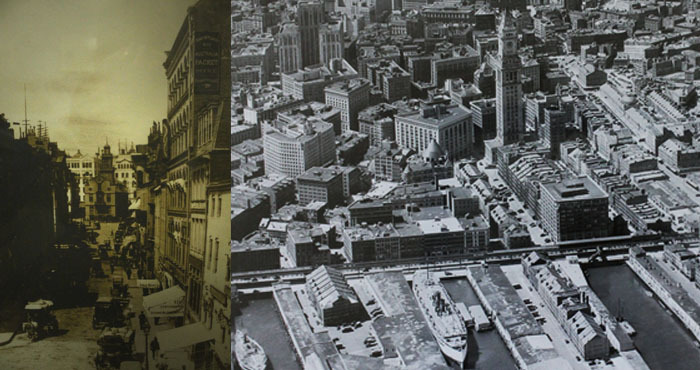 Established in 1867 as an international trading organization, Henry W. Peabody & Co. once maintained 48 offices in strategic locations around the world. The business historically traded in a wide variety of commodities shipped on its own line of chartered wooden sailing vessels called the "Australian Line." With its stately fleet of schooners and clipper ships, Henry W. Peabody was and continues to be a company built on trust and reliability. 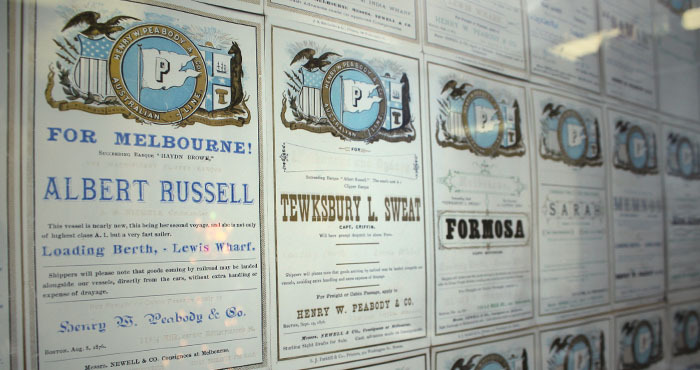 In fact, Peabody was the first company to guarantee shipping dates for goods out of Boston. Our Sailing Cards (pictured below), depicting the Boston to Melbourne run are collectible items. Over the years, clipper ship trade slowly graduated to direct import on modern ocean carriers; but the commitment to quality and timeliness has never faltered. In more recent years we have concentrated on importing natural fiber products. These include jute goods from India and Bangladesh, such as burlap cloth and bags for the packaging and nursery industry, as well as abaca fiber from the Philippines for use in the paper and cordage industries. Most recently, we have begun importing woven polypropylene bags from China, Indonesia, and India for use in sandbags and other packaging needs. 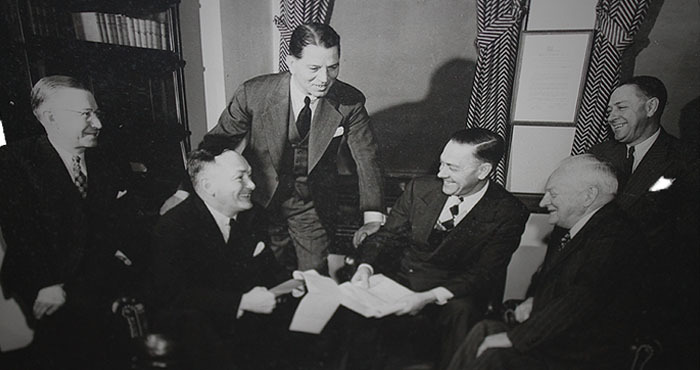 Since our founding in 1867 our specialty has been providing our customers with the best jute, woven burlap, and synthetic fiber goods available. While other importers have diffused their focus into multiple product lines and industries, we remain dedicated to the agriculture and the textile packaging trade. We are direct importers. We travel overseas frequently to inspect the merchandise produced by our suppliers so we may assure our clients are purchasing the highest quality products available. 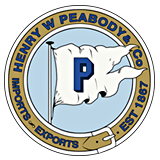 Henry W. Peabody & Co. maintains active industry participation, including membership to the Textile Bag and Packaging Association (TBPA) and the Burlap and Jute Association (BJA). We have also been approved by the United States Customs Service as a participant in the Customs-Trade Partnership Against Terrorism (C-TPAT). The Boston Business Journal has recognized us as the second largest import company in the greater Boston area.